KwaVuko Communications and Marketing is a vibrant, engaging and wholly Black-African female owned entity founded by Margaret Mothibi, an experienced broadcast journalist and print freelancer. 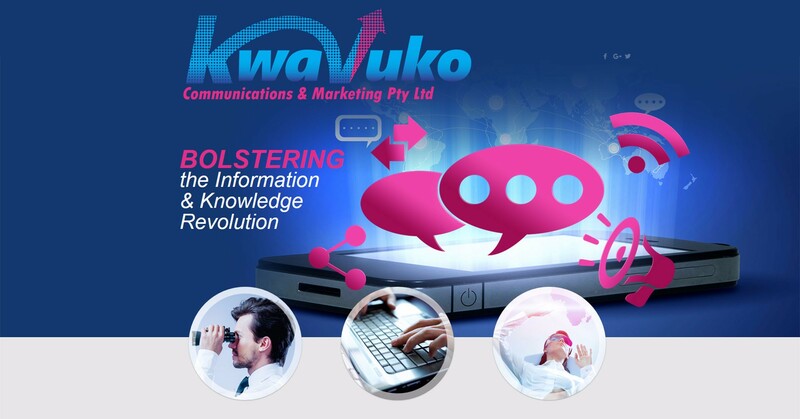 KwaVuko’s quest of “bolstering the information and knowledge revolution,” attests to its full commitment towards making content the new currency. We believe that South Africa’s knowledge economy trajectory’s balancing act is in the building blocks of content and in harnessing an information paradigm. Our glittering skills-set in public sector communications, corporate, print and broadcast media shines through in our tailor-made communication strategies, plans and content. Flexibility; we highly at ease with any task – outside broadcast (Obs), campaigns, events, public mobilisation, facilitation/coordination, freelancing, etc. Lead in transmitting knowledge and information through innovative solutions in all facets of our engagements. Endear ourselves as a trusted media enterprise capacitated with the requisite human capital that shall ensure client satisfaction through utmost professionalism. Each print task crystalizes our quest in harnessing the information revolution for citizenry empowerment which can thus translate into a better quality of life. Steadfastly; ours is to broaden the base of developmental news for citizen empowerment. The good news is our preoccupation. Drawing from an array of partners with whom we stand to ensure a professional service to an individual or group with finesse and class. Print media advertising, broadcast media advertising (creation of Jingles/promos and placements by ensuring quality and audience relevance. Strategic content formulation with a firm understanding of target audience, with Outside Broadcast (OBs) – we guaranteeing a media savvy paradigm to the total satisfaction of clients. Conceptualizing and complete production done through a highly professional team – our scope includes documentaries, corporate videos, events, promotional DVDs that are well scripted and voiced. • Marque tents and all other infrastructural needs; flooring, carpeting and depending on specifications. • Public Mobilisation/Coordination – A plan is tailored based on the numbers that our client wishes to draw and implemented to the latter. • Organizing and Managing Gala Fundraiser Dinners/Luncheons or other.